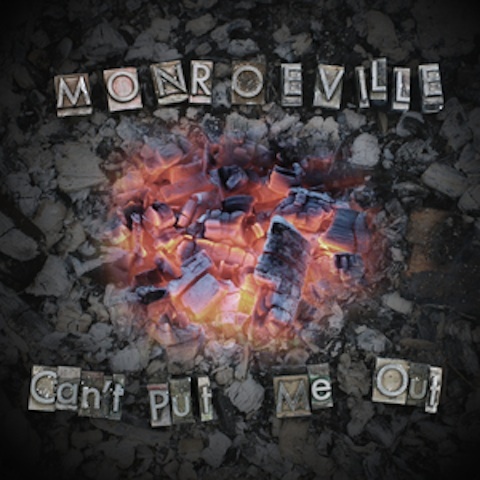 “Can’t Put Me Out”, Monroeville’s first full-length project, due out April 1, is personal – one that personifies their ability to keep moving forward, despite heartbreak or obstacles. It’s a project that showcases their true uniqueness. Since the band’s inception four years ago, the 2012 International Bluegrass Music Association’s Momentum Band of the Year, Monroeville, has gone through growing pains. From finding their place in an ever-changing music world with their genre-bending styles, to band changes, one thing rings true of Monroeville – they just don’t quit. “Can’t Put Me Out” has 11 original songs, all written by members of the band, and explores several different genres, with one Doc Boggs classic, re-tooled in Monroeville’s signature style. The title of the project, named from the first song on the project, “Can’t Put Me Out”, is for the underdogs – the ones that get underestimated and overlooked. You might get stepped on but they can’t put out your fire. It was a fitting theme for the project that also translated very easily to artwork. “Can’t Put Me Out” exemplifies the message of one of their musical heroes, Bill Monroe. I was determined to carve out a music of my own, I didn’t want to copy anybody – Matt Munsey, original member and leader of Monroeville. Monroeville’s original music and determination to not be pigeon holed has stood out, and shown the industry their uniqueness. And although they have been classified in Acoustic Country/Bluegrass, Monroeville has a sound that earned the respect of their peers with their original songs from previous recordings being performed, and recorded by other groups. But the greatest honour has been in an ever-growing fan base across different genres from all over the world. The social media sites have shown their appeal in country, bluegrass and underground rock genres. Their appeal is in music that touches everyone, from every walk of life. The first two, yes, two releases, “Drunkard’s Lone Child” and “Be Natural” are being released simultaneously to not only show the industry two distinct styles of the band, but it allows the fans the musical spectrum Monroeville. While “Drunkard’s Lone Child” is a traditional song that shows Monroeville’s ability to take an old melody and make it their own with great movement and style, “Be Natural” focuses on reminding others to not be what others think you should be, be who you were created to be. To make it accessible to their fans, as well as allowing fans to share their music, Monroeville has released a free listening of the project on SoundCloud. Check it out here..
“Can’t Put Me Out” will be released to the public on April 1, 2014, and will be for sale on all major online outlets for downloads, as well as on Monroeville’s Online Store for physical copies.